If you’ve been charged with drunk driving, your driver’s license and your way of life are at stake. Don’t give up without a fight. Talk to a lawyer who really knows how drunk driving cases are handled in the community in which you’ve been arrested. At The Umansky Law Firm, our DUI defense lawyers have more than 60 years of combined experience protecting the driving privileges of Florida residents, tourists and commercial truck drivers. We’ve taken hundreds of cases to trial as defenders and as prosecutors. We’ve tackled both sides of a DUI case and we put that knowledge to use to protect our clients. Because the consequences of a DUI conviction can be costly and serious, it pays to look at every possible defense strategy that may work for you. Many things can go wrong with a DUI case. Here are some of the things our attorneys look at when preparing a defense strategy. Was Your Stop Legal? The police can’t just pull you over for no reason at all. The patrol officer has to have a reasonable basis for the traffic stop and it’s got to be more than seeing you weave inside your lane (that’s not illegal) or someone calling in an anonymous tip. Did the Police Have a Right to Search Your Car for Alcohol or Drugs? Officers can’t search a person or a car for a minor traffic offense and they have to ask your permission to search your car, or have probable cause. Did the Officer fail to tell you your rights? If you weren’t told of your Miranda rights, the prosecutor can’t use any statements you made as evidence against you. Does the officer have a history of problem behavior? A lot rides on the officer’s opinion in a DUI case. If the officer isn’t credible, if he or she makes misleading statements or inconsistent verbal or written statements, that can work in your favor. Non-expert witnesses: There may be witnesses who can testify on your behalf about your sobriety or the drinks you had earlier in the day. Expert witnesses: They can review and interpret the sobriety test results if there is a potential problem with the tests. State experts: If the DA doesn’t disclose its experts, they can be barred from presenting evidence against you. Video: The in-squad video or booking room video may contradict what the police offer has said about your behavior after a DUI arrest. Field sobriety test: Even healthy, sober adults can fail walking and standing tests 30 percent of the time. Medical problems, being overweight and being older can contribute to someone failing the test. Invalid field sobriety tests: There are certain tests that are recognized as field sobriety tests – counting backward, saying the alphabet and finger touching the nose are not always considered a valid test. Improperly administered field sobriety test: A field sobriety test must be done in a certain manner. If the specific procedures are not followed, it may be invalid. Breath tests: These tests are inaccurate and most experts agree that they are unreliable on their own. If the breath test operator is unlicensed or his or her license has expired, the test result is inadmissible. Breathalyzer machines: If the Breathalyzer machine is malfunctioning, not calibrated, improperly calibrated or not approved, the results are inadmissible. If the person administering the test failed to include the value of the simulator solution used in the machine, the results are inadmissible. Chemicals that interfere with breath test results: Paint and nail polish contain alcohol and can interfere with test results. Blood tests: The police cannot force you to give a blood sample if no one has been injured. If they do, the results are inadmissible. Blood samples should be drawn by a phlebotomist or someone trained in taking blood. Improper processing or storage of blood can result in errors in blood alcohol level test results. Timing issues: The prosecutor has to prove your blood alcohol level or breath alcohol at the time you were driving was above the legal limit. Time of alcohol consumption and time of testing can influence your blood alcohol level. Speedy trial: You are guaranteed a speedy trial. That means the court has to provide a trial within 90 days for a misdemeanor or 175 days for a felony after you are arrested or the charges may get dismissed. Statute of limitations: The government does not have the right to wait until whenever it wants to file a charge against you. That would be unfair as the longer the government waits the harder it is for you to defend yourself. A criminal charge must be filed against you within a certain time period. Failure to file within that time period may result in the charges against you being dismissed. If you need experienced DUI representation contact the criminal attorneys at The Umansky Law Firm today for a free case evaluation. 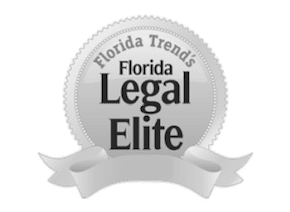 Contact our firm online or by calling 407-228-3838today.